This is NoSQL ZZZ Server™ version 1.18.8.28 - programming a new generation. 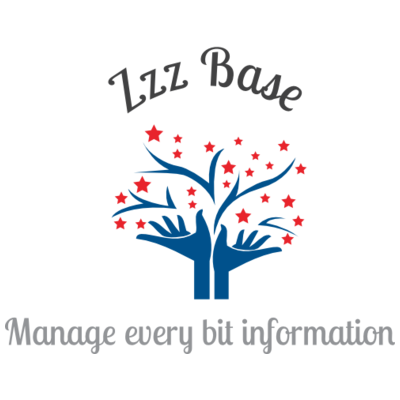 ZZZ Base is a knowledge base embedded in ZZZ Server. Currently, a base can store up to 8,000,000 terabytes of information. A ZZZ Server can access an unlimited number of knowledge bases on the computer on which it is installed or on the Internet by linking to an unlimited number of other ZZZ Servers. ZZZ Server is a socket and HTTP multiuser server implemented for various Windows, Mac OS X, Linux, and Android operating systems. It can be accessed through a browser or other applications written in different programming languages. Supports TLS encrypted connections. There are minimal system requirements from 0.4 MB RAM, 386 CPU and 1 MB disk space to the most up-to-date computers. Self-application - does not require the installation of additional software. ZZZ++ is an object oriented system for distributed and parallel access to knowledge in a network - local or Internet and can manage an unlimited number of ZZZ databases and ZZZ Servers. This system allows parallel computing on one or multiple computers on a network (including the Internet). The complexity (links between objects) and the scale (number of participating computer systems) for each computing system based on this technology are unlimited. Extremely compact about 1 MB. It allows you to use it with very limited computing resources. For example in Raspberry PI your flying drone. Lets processing unlimited volume of information. Working with an unlimited number of databases / knowledge. Connect with unlimited number of other ZZZ Servers. Working with unlimited number of sets. Allows you instant access to the element of variety with a huge number of elements (eg elements trillion). Ability to instantly find closest to non-existent element in many - very efficient processing of time series. Allows you to create stand-alone applications without need other software. Incredibly you can easily install or embed in software applications. Copy run and it is already working. Its installation takes a few seconds. You can use it in applications with high loads. Tested to 4000 customers per minute of computer Compaq™ 2000th year - Linux OS with 32 bit processor Intel® Pentium III™ 866 MHz, cache size: 256 KB, cpu cores: 1, RAM: 256 MB and HDD: 80 GB. You can count on it fails even overload and continues to process simultaneously set number of customers. Keep your reliable the information and that of your customers even when a collapse in the grid. Allows direct or background to store data on multiple computers in the network, which enables even physical destruction a computer else to replace seamlessly for the end user. Working with "live" objects - not only static information. When using the built-in extension work sites will realize the amazing possibilities of this product. Allows you to distribute the load among multiple ZZZ Servers (tens, thousands, millions - the number is unlimited) located on one or many computers on the network or Internet. The professional version allows simultaneous operation (individually or organized in "clouds") about 65,000 ZZZ Server on one computer (ie. As the free ports). You run a ZZZ Server™ for hundredths of a second and stop in milliseconds. "Cloud" of hundredths ZZZ Servers can be restarted within 1 to 3 seconds. ZZZ Server™ can work without any buffering, while using the minimum amount of RAM.New versions support adjustable buffering, which allows you to speed access to data managed by 3 to more than 20 times the work without buffering.You can set optimal parameters of buffering the type of applications that use it according to the possibilities of computers on which it works. ZZZ Server has versions for different operating systems and their versions. For example, you can run all versions of Windows™ of NT 4, 95, 98, Me, 2000, XP, Vista, 7, 8, 10 supporting and 64 bit versions. There are options for 32 and 64 bit Linux compatible operating systems.64 bit version for Mac OS X™ and others. If necessary, may be a compiled version and unsupported by current operating system. You can use it affordable. Where and what can I use it? Wherever you need storage and transformation of information. For example, for financial, accounting, warehousing and other similar programs. Programs for managing construction sites. Programs for management and monitoring of production processes. Programs for watering your plants. Programs for processing linguistic information. You can use it in programs for managing your flying drone or drones millions. In management programs ships and other vehicles. In programs to create expert systems. In programs to create neural networks. In programs for simulating natural and physical phenomena. In programs that can unite millions of computers to work in unison. ZZZ Server™ is something different to start using it you should read the documentation! The price is for a license to use a specific version of ZZZ Server™ to a PC from an unlimited number of applications. Price for the renewal of a specific package to a newer version.